With the first meeting at Cheltenham coming up, Charlie Longsdon has maintained his excellent start to the National Hunt campaign. The Chipping Norton trainer moved on to 27 winners for the campaign courtesy of Ready Token’s victory at Market Rasen on Monday. The seven-year-old won the 32Red.com Handicap Chase in the hands of Aidan Coleman for the Hull Farm handler. 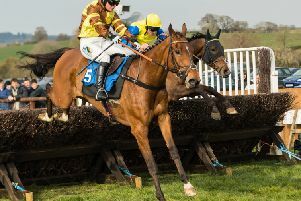 Killala Quay won the Kalahari King Beginners Chase at Uttoxeter on Sunday. The eight-year-old was ridden by Sam Twiston-Davies. That came two days after Shear Rock had won the Nicola Coy Appreciation Society Breakthrough Handicap Hurdle at Fontwell. The five-year-old was ridden by Richard Johnson to record a third straight win. Atlantic Gold got the month off to a winning start when landing the spoils at Warwick on Thursday. The five-year-old won the Warwick Racecourse Supporting Racing To School Maiden Hurdle in the hands of Aidan Coleman. My Nosy Rosy obliged for Edgcote trainer Ben Case at Chepstow on Wednesday. The seven-year-old won the Paul’s Place Handicap Chase in the hands of Daryl Jacob for the Wardington Gate Farm handler. Bayley’s Dream gave Mollington trainer Paul Webber his first win of the season at Warwick on Thursday. The six-year-old won the Ken Muir Memorial Handicap Hurdle in the hands of Liam Treadwell for the Cropredy Lawn handler.